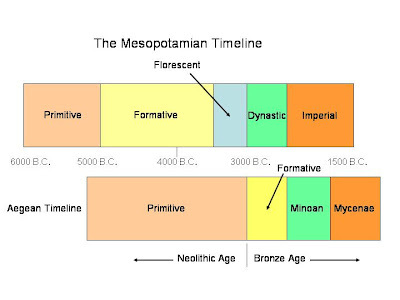 Now that we have looked at the geography, we move on to the developmental timeline of the Mesopotamian Culture. The following chart shows this in relation to cultural development of the Aegean. Irrigation became more broadly utilized which facilitated settlement of the grassland areas. By 4,000, an economy was well-established in Susa (see map). Lowlands were not established in a substantial way until irrigation techniques had advanced to the point of insuring a consistent harvest and water-born transportation was able to supply the lowlands with raw materials. Two cultures evolved: agriculture only in the lowlands and mixed agriculture and pastoralism of the grasslands areas. By 3,500 B.C. the area known as Sumer had grown significantly and created the world’s first urban environment. A good example of a Formative Period settlement is at Eridu, where reed and clay huts have been excavated. Date palm and fish were in the diet, along with cereals. Sheep and goats were herded. Pottery was excavated along with kilns. The village organizations were chiefdoms and theocratic. Each village contained a temple. Florescent in this case refers to a period of rapid growth in the civilization. Sumer’s development accelerated with many new villages becoming prominent. One of the most notable was Erech, which has been well excavated. Crafts were well-developed – pottery, carpentry, and metallurgy. The presence of wood and metals from great distances indicates advanced trade. Writing began with the form of pictographs but advanced along with numerical notation. The plow was improved, wheeled carts were constructed, and sailboats put into use. Bronze weapons and tools were seen after 3000 B.C. This period gets its name to describe the emergence of secular, hereditary, military kingdoms in Sumer. 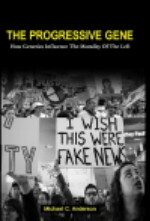 This political trend was accompanied by an increase in militarism and warfare. Fifteen to twenty Sumerian cities had grown more urban by concentrating themselves defensively. Kish and Erech had as many as 20,000 inhabitants. There was evidence of a class society: well to do, poor, and slaves. There is much speculation about what caused the militancy: competition over scarce resources? Competition over unoccupied land? Lack of a buffer zone? War become chronic and kingships followed. Is this a history lesson? The kings found their position extremely difficult because there were two types of enemies: like cities in close proximity and raiding nomads. The nomads were particularly difficult to defend against because of their mobility. There was no way to find peace against them except by buying them off. Those caught in the buffer zone had to choose between joining the urban communities and becoming nomads themselves. Around 2,500 B.C. attempts at empire building began. In 2,370 B.C, Sargon of Akkad established the first imperial dynasty. Sargon was able to subjugate all of Sumer and hold the upland barbarians at bay. Sargon was originally a cup bearer for the King of Kish, and later became a successful military leader. 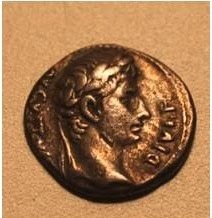 He became so successful because he figured out how to “unite barbarian prowess with a foundation of Sumerian civilized technique.” (quote from Service). And as we have seen in other examples, Akkad shortcutted its development by using lessons learned from the Sumerians. The Sargonic Empire lasted for four generations before it was overthrown by The Third Dynasty of Ur and then eventually, in 1,700 B.C, Ur gave way to Hammurabi of Babylon. Nice quick refresher course on fertile crescent (is it still called that?) I tend to get all these folks mixed up, tho. Chaldeans, Babylonians, Assyrians et al. I seem to remember the Assyrians being about the closest thing to Clingons the world has yet produced... by which I mean to say they were rather... fierce... right?